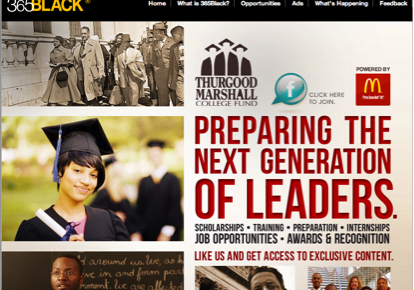 Super Genius was invited by senior leadership on the ethnic marketing team at McDonald’s to bring a fresh approach to their support of various non-traditional properties, in particular, the Thurgood Marshall College Fund. Our challenge is low awareness among teenagers and young adults of the Fund and consequently low application rates for scholarships. Our goal is to change that and ensure that McDonald’s is a visible part of that success. 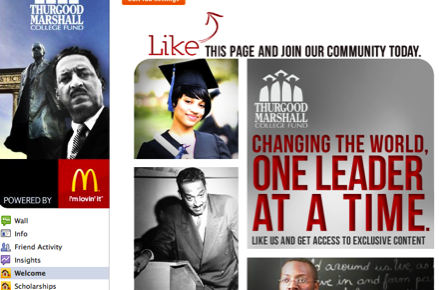 Our solution is to help McDonald’s create a vibrant online community behind the Thurgood Marshall College Fund. 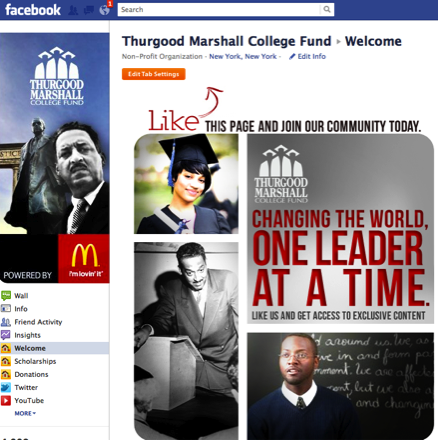 And using a variety of online/social platforms (Facebook/Twitter/Custom sites/etc.) 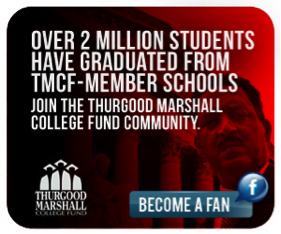 as the cornerstone, our intent is to elevate interest in Thurgood Marshall, a giant in the U.S. historical landscape, as a means to increase applications and participation with the Fund among HS/college students. 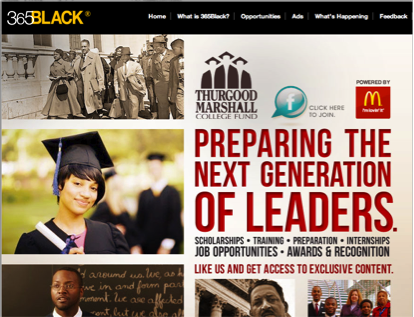 The result will be a growing digital-community, ignited conversations among students and scholars alike as well as a tangible (and visible) forum for individual/corporate donations and sponsorships. We launch in the early part of 2011. Stay tuned.